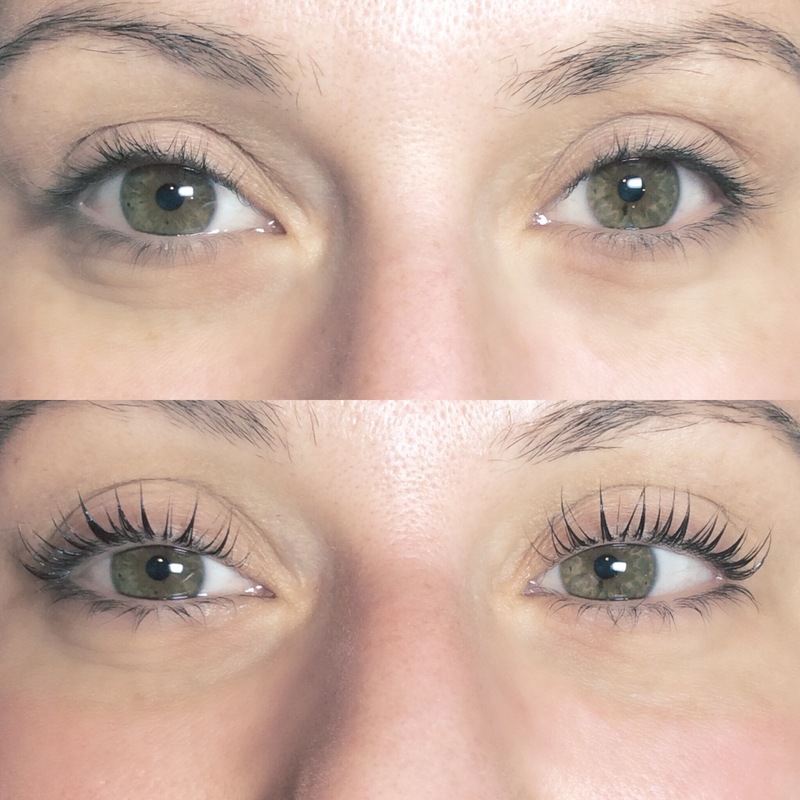 Today I tried for the VERY first time, a lash lift & tint. The process took only one hour, and was painless. The first step, the lashes are lightly glued to a silicone lid cover, called a rod. It’s truly not as scary as it sounds. Then, the perming solution is applied to the lashes and is to set for around 7 minutes. Following that, another solution is applied and finally the lashes are gently removed from the silicon “rod”. Easy peasy! The last step was the last tinting which took only a few minutes and was as simple as applying mascara. The results are fantastic, and no longer will I wake up looking like a sad, pale blue eyed gal. The above photo is my final results without mascara! UPDATE! My girlfriend went today and got her lashes lifted, check out her results! It is by far a way better option, at least for me 🙂 Thanks for reading! I’m loving your blog as well!